Snap circuits are wonderful toys for any child who is interested in electricity. Every snap circuit kits, all come with easy to follow along instructions for your child to build their favorite projects with. Snap circuit kits can also be all added on to other kits to help create endless projects your child will get excited about. These kits help promote STEM oriented (science, technology, engineering and mathematics) curriculum and teach children the way certain electricity objects work. These toys have won numerous awards because they are safe, practical and educational for children. Below you will find our top ten list of the best snap circuits. For this update we added one new product to our top ten list of snap circuits. Snap circuits are wonderful hands on activities for anyone wondering or curious about how electricity works and how certain objects are created. These are the perfect activity for any young child who is interested in science or engineering. For any other questions that you may have please check out our FAQ for more answers. We are sure you will find the perfect kit for your enthusiast. Starting off on our list is this basic beginner kit for those kids who are just starting out. If you’re unsure if your child will stay interested, involved or like something like this then this is the best option for you to choose. Once you’ve established if your child has shown a steady interest there’s even kits you can upgrade that are available if your child wants to explore more. This kit makes over 100 projects with only 32 parts and comes with easy, bright, colorful follow along instructions. Each piece is compatible with other snap circuit models creating endless opportunities for electrical experiments your child can enjoy. Some of these projects like in this set are: a photo sensor, siren, and a flashlight! For teachers following the STEM curriculum, this kit will have a huge success in the classroom. This specific kit doesn’t require extra tools or supplies, only two AA batteries and is recommended for children eight years old and up. Parents will be able to determine if their kids enjoy the excitement of these electrical experiments by purchasing this beginner kit. It’s always best to start out with a smaller kit like this one before parents buy larger ones and find out that their child isn’t as interested in this activity as they thought they would be. This is a great educational start on explaining how electricity works! Children can learn with this set how to create a siren, photo sensor and flashlight. For a beginner, these are great projects and easy to do! For the next step in snap circuits or just a larger set with more parts and projects, this is the kit to buy. The SC300 has all of the projects and parts of the SC100, plus many more pieces and 204 more projects. There are over 300 experiments to do with this kit that requires four AA batteries to operate. Like the other snap circuit sets, this one has real electronic symbols and names used to reference the parts, so kids can match them easily and learn their proper terms. Included is a color-illustrated manual for this kit that does not require any tool or other materials. Eight year olds will love creating these projects that include a burglar alarm, doorbell, lie detector, fan modulator, and a radio among many others. So many skills and abilities are obtained and developed with snap circuit sets. However, the most utilized are cognitive, fine motor, and hand-eye coordination skills when completing the experiments. This set that has so many exciting experiments lets kids make their own doorbell, alarm, radio, and fan with just the assembly of the circuits on the grid board. Future Einsteins will love this experimental electricity set. With lights, this snap circuit kit teaches kids with projects that all contain lights in some way. They can make a color organ, a flying fan that glows in the dark, an infrared detector, and a color-changing LED light, plus other light-featured experiments. To see the circuits react, children can plug the circuit board into a smart phone or MP3 player. This light set is compatible with all other snap circuit kits and like the others, no tools or extra materials are necessary. Four AA batteries are needed for the over 175 projects. Full-color graphics and instructions are given, as well as 55 parts to build all of the projects. For snap circuit fun with projects of light, this is the kit to buy for your child. With this set, kids can learn about lights and how they work, as well as the electricity that generates their power. Snap circuits in this set make projects of color, LED lights, infrared, and glow-in-the-dark objects. Kids that love things that light up, will get really excited about having this snap circuit kit. All of these experiments have a light component to them. Snap circuits are great, but when combined with lights, they become something super! This snap circuit kit is perfect for anyone who loves hands on activities and projects. It comes with three different light tunnels and a projector with six different images. This kit comes with over 150 different projects. Some of these projects that this kit includes can even go vertical. What's nice is every kit that you have can be added onto another kit creating endless projects for your little enthusiast. This kit comes with easy to follow instructions. It’s perfect and recommended for children 8 and up but younger children may be able to help with some assistance. Every kit is compatible with any circuit kit that you have which will help create endless projects for them. Snap circuit kits are incredibly beneficial for any child who is interested in science, engineering, technology or electricity. With these designs you can build some 3D structures. We love these snap circuit kits because they are easy to add on to other kits. We love that it helps promote STEM learning and that these designs are easy to build. It is the perfect gift for any young scientist or engineer enthusiast who wants to see how an object is created or how electricity works. Kids can discover many alternative, green modes of electricity with this unique snap circuits kit. There are over 125 projects that use more than 40 parts. Experiments, when completed in order, take the child from the easiest of tasks eventually to the harder ones. This allows the child to learn as they go and build on their experiences with the circuits and the board. Like other snap circuit kits, this one is also compatible with other such sets. Parts can be mixed and matched for new ideas and experiments the child can try on their own. Because this set is aimed towards teaching green energy alternatives, it has a separate manual for educational purposes, as well as the instructional booklet to complete the projects. If you want your child to start learning about other environmentally friendly ways of power, then this snap circuit set will get the spark started. This is a fantastic beginning toy for our future environmentalists and engineers who will be the forerunners of new inventions and ideas. Kids interested in building sets and inquisitive about how things work will love this kit that teaches and explores electricity in better forms. Different, safer ways to provide energy is always something great to learn about, even for adults. This wonderful circuit kit lets kids learn these concepts in such a fun and exciting way. If your child has the SC100 snap circuit kit, then this converter set will add to the enjoyment. It has 200 more projects and 30 new parts that provides all of the projects of the SC300 kit. This is beneficial because if you purchase the SC300 when you already have the SC100, all of the SC100 projects will be duplicated. This way, you only purchase more parts for new experiments. Kids eight years old and older are best suited for these snap circuit sets, but younger children can enjoy them too with proper adult supervision. Young kids are attracted to building and putting things together, so snap circuits will appeal to them. Parents must watch that kids do not swallow the small pieces. As with other sets, school science labs make a wonderful place to introduce kids to the fabulous world of electricity with snap circuits. Children that already have the SC100 kit can upgrade easily with this set and enjoy new and exciting experiments. They just combine the parts to make new electric items. This and the SC100 can be combined with other sets for kids to make their own projects. The manufacturers of these sets made it possible for kids to simply upgrade the SC100 set they may already have instead of purchasing the duplicating SC300 set. This is beneficial to the name brand and the user. This Snap Circuits PRO SC-500 Electronics kit has won three different awards for stellar completion, ease of use, and entertainment value. There are a whopping total of 500 experiments that your child can create with this kit which makes it well-worth the money! It’s great for science experiments, projects, or just something to do on the weekends or rainy days. You can get the entire family involved with this one or, if your child is old enough, let them piece together this snap circuit on their own. It comes with a fully-comprehensive guide to help your child figure out exactly where and how to connect each piece to successfully create a full circuit, and this set also comes with the option for online instructions as well. This set it completely hands-on and will provide them with a thorough understanding of electronics and how electricity works its way around a circuit board to power up multiple things. This snap circuit board is rated as intermediate, which means your child can add beginner boards or even expand to higher-level snap circuits to create extreme circuit boards and even further test themselves. If your child already has a pretty solid understanding of circuit boards and how they work, this set is next up to give them a bit of an extra challenge. With 500 projects to complete, chances are they’ll be busy for awhile! The amount you can do with this one circuit board is really unbelievable, and that makes it a great long-term project. This is something that kids can repeatedly return back to, start over, create something new, and then do it all over again. If your child loves building things, science, and arcade games, then this toy will be a big hit. Geared towards the functions of computer games, this set includes an internal microcontroller that is programmed with several games, a word fan, a three-color light orb, and LED display to construct this snap circuit toy. With coded parts and instructions, kids can assemble the circuits on the board to make their own mini arcade. This snap circuits kit would make a wonderful addition to any STEM program because the instructions are so well-written with color graphics and the electrical concepts are quite basic. There are 30 parts in the set that are used to generate over 200 experiments. Three AA batteries are required to make the toy functional, and they must be bought separately. For arcade fun with snap circuits, this kit makes an exceptional toy for kids that enjoy discovery. Kids’ fine motor skills and concentration will really get a fantastic work out with this kit. The building of the circuits is the first step and then actually playing the games is the second. Each takes plenty of precise judgment and finger dexterity to manage the parts successfully. Combining arcade games and snap circuits is a terrific idea to get kids to learn about electricity. Being able to construct the games themselves and then play them is a great learning tool. Children can make their own FM radio with this snap circuits kit. There are also three other projects included. Fully detailed instructions with simple color-coded graphics make it easy for kids to complete the experiments on their own. Parents will love joining in the fun by helping with assembly and explaining how and why the batteries make these projects work. No tools are required and there is nothing else to purchase to complete the experiments, except AA batteries. The batteries are where the power comes from to operate the circuits. Like the other circuit sets, kids eight years old and older will gain the most benefit from this FM radio kit. Besides the fine motor skills that all of the snap circuit kits exercise, children can increase their speech and hearing abilities with this radio set. Listening to various frequencies will help them appreciate all that batteries, radios, and electricity can do. Being able to make your own radio is really great! This snap circuit kit makes it possible for youngsters to build something they can certainly use. With snap circuits and a plastic grid board, this kit has all of the parts to create a flying saucer disk. Operated by a switch that is just pressed and released, the saucer rises into the air from the board. The simple, easy-to-follow directions will guide kids as they put the pieces together to form this project and four others that are with the set. The most appropriate age for this set is eight years old, but younger kids can enjoy it with help from adults. If your child is interested in LEGOs and likes to build things, then snap circuits is worth a try to get them involved in learning about electricity. Start them off with the simple experiments in the kit and then progress to the harder ones as they learn. Snap circuit kits have many parts that can be combined with other sets to form a large group of possibilities for new experiments. Once kids do the projects in the instructions, they can invent their own projects with the many parts from all of the kits they collect. This kit specializes in one project, the flying saucer, but it also includes four others to accomplish. This is great because the fun does not stop with just one thing to do. When coming up with our top ten list for the best snap circuits we made sure that we followed a specific methods of criteria to narrow down our list. 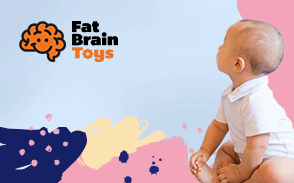 We looked at everything from highest ratings, to reviews, to how beneficial these toys can be for children. Research showed that snap circuits are extremely educational for children to have because they promote STEM learning. Stem meaning science, technology, engineering and mathematics curriculum. Snap circuits are also great for children with ADHD because they can always be moving and building hands on projects. What even better is if you have one snap circuit kit your children are able to add on to other kits as well making sure it so that they can have endless hours of fun with different projects and seeing how electricity works. Every item on our list are licensed with Snap Circuits. Not only are these science toys for your little enthusiast but they are helpful with how electricity works. These kits can work as complete circuits when they are correctly assembled. Some customers who have purchased these did have negative feedback claiming that certain projects didn’t work but keep in mind that it is quite possible that they did not follow the building instructions properly. These kits are wonderful to help your child increase their fine motor skills as well as their problem solving and critical thinking skills. They are extremely beneficial for your children. It’s also recommended that parents pay attention to the age that each kit requires for some building projects may not be appropriate to build on their own for younger children without assistance. Parents often forget that it’s extremely important to make sure that their children are given age appropriate toys. Several items on our list are made for children who are 8 and older. The reason for this is because there are some smaller pieces that each snap circuit kit may include which can be a choking hazard for younger children. Parents are advised that if they are purchasing these kits for a child who is younger then the age of 8 that adult supervision is required when projects are being built. The main purpose of Snap Circuits and the projects are to make science and learning about electricity fun for kids. It is hands-on participation in building something that closely resembles real electricity, plus the models actually work. The boards and the circuits make it possible for children to put the pieces together following precise directions and create a product that gives a predetermined result if done correctly. Kids can do all of the experiments on their own or with adults who can possibly explain why and how these projects work. Schools can use these kits to teach children in science classes and labs, the fundamental concepts of electricity in an exciting way that will make kids want to learn about electrical power. These projects are perfect for home, school, or travel. Other than the education about electricity and building the models, Snap Circuits exercise the fine-motor skills, eye-to-hand coordination, thought processes and problem-solving abilities, concentration, creativity, and the ability to follow directions. Just by putting these projects together using the instructions, kids gain all of these skills. It takes a lot of human functions to do even the simplest of tasks, including these experiments. Since children can use the parts to create their own projects, Snap Circuit kits also tap into a child’s creativity. Q: How many kids can play with one of these Snap Circuit sets at a time? Could a group of children use it and learn together or would just a few kids be the maximum that could use it at one time? A: The boards for the Snap Circuit sets are about as big as an iPad, so two or three kids can use it comfortably at one time. More than that and some kids would have to only watch and wait for a turn to do some hands-on work with the set. Q: Do the projects repeat in some of the sets? It is hard to decide which one to get based on how many projects come in a kit and then later to upgrade for more projects. A: The basic SC100 set repeats in the other sets with added projects. For example, the SC300 kit has the same 101 projects as the SC100, plus projects 102 to 305 also. Each kit expands the one before it, but also includes the same projects as the previous kit. Q: Can these Snap Circuit sets be used as a travel toy in the car while on road trips? A: Concern would be losing the very small pieces, but sure it is possible to do in a car. A child could possibly have the grid on their lap and maybe in a large tray to catch any small pieces that might fall off. Q: What is the most appropriate age for these sets? The boxes and manufacturer recommend 8 years old and older, but what about kids who are interested in assembly toys and science who are much younger, say 4 or 5 years old? A: Any child, no matter the age, who shows an interest in such a toy should be allowed to play with a Snap Circuit set. Every child has their own mental and physical pace, so this will be a personal judgment call for the parents to make. The only concern would be the small parts and choking hazards. With proper parental supervision, this problem should be eliminated. Q: Do these Snap Circuit kits require batteries, tools, or other supplies? A: The kits do require two AA batteries that are not included with any of the sets. These must be bought separately. No tools are required for assembly of any of the projects and no other supplies are needed. Q: Are these kits suitable for an adult? A: These are not intended for adults. The projects are more for kids because the purpose is for hands-on experience to learn about electricity. The projects are simple and easy things that would appeal to children. Parents love doing these with their kids though, as they learn together. Q: Two packaging types are offered with the Snap Circuit kits. You can choose standard packaging or frustration-free packaging. What is the difference? A: Standard packaging comes with all of the necessary things like Styrofoam peanuts, bubble wrap, and tape to help prevent damage, and thus makes the item harder to open. Frustration-free comes without all the extras that make the package hard to open. This is being offered because the item is geared more towards kids, presuming they will be opening the kit. Q: Being that these are experiments with electricity, can kids be hurt in the process of doing the projects and learning? A: No, because the power source is batteries for all of the projects. These are completely safe for all children and adults. Q: If one were to use this as a science project, roughly how long would it take to complete? A: Every child is different which means that they’ll all learn how to build circuit boards differently than the next. It might come easier to some kids while others could be slightly thrown off or initially confused, which is why parental supervision is always a good idea, at least to start. If you’re looking to help your child build one in a decent amount of time, it’s a good idea to go with one of the beginner sets. If you’re looking for a challenge for both you and your child, and have the time to complete one, the intermediate sets are a lot of fun and allow you to take your time while completing them. Either way, it’s a great addition to a science project about electricity and battery power!